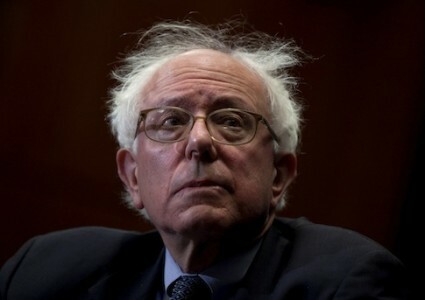 Presidential candidate Sen. Bernie Sanders (I., Vt.), a self-identified socialist, is proposing the largest peacetime expansion of government in history, backing $18 trillion in spending in one decade, according to a tally by the Wall Street Journal. According to the U.S. Treasury, our current total public debt, including both debt held by the public and intragovernmental holdings, exceeds $18 trillion. Sanders’ new expenditures would match this amount in 10 years. Sanders would dedicate most of this spending, $15 trillion, to a government-run single-payer health-care plan for all Americans. In addition, Sanders would spend $1.2 trillion on Social Security, $1 trillion to rebuild roads and bridges, $750 billion to make college more affordable, $319 billion for paid family and medical leave programs, $29 billion on private pension funds, $5.5 billion for a youth jobs initiative, and an unknown amount for a Pre-K program. To do this, WSJ says Sanders would impose tax increases that would bring in $6.5 trillion over 10 years. These tax increases would not even cover half of the $18 trillion in spending he’s proposing in the same time frame. "For many years, government spending has equaled about 20% of gross domestic product annually; his proposals would increase that to about 30% in their first year," states WSJ. "As a share of the economy, that would represent a bigger increase in government spending than the New Deal or Great Society and is surpassed in modern history only by the World War II military buildup."